Marketing Archives - Medical Marketing Enterprises, L.L.C. January 28, 2019 by Randall Wong, M.D. Remember that healthcare and medicine is not comfortable with "marketing." The need for marketing is still poorly understood, but every year more and more of us are beginning to understand that healthcare marketing is necessary because our patients are expecting us to market. Marketing involves teaching our patients about their health and what services we provide. Establishing goals which are easy to attain avoids disappointment and the feeling of failure. When I lecture, I often plead to the audience that your hope should be to implement something over the course of the next year and not everything. Trying to achieve everything is doomed to failure. Try to implement just one or two things learned. Your goals will vary from group to group and organization to organization. 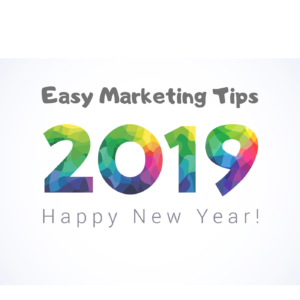 The larger your organization/group, the more complex your marketing needs and, unfortunately, the more difficulty in making every one "happy." Keep this in mind when planning a strategy. Choose a strategy which involves or requires skills you possess and enjoy to utilize. For example, if you like to write, write new content. If you do not like to write, create a video (do something you enjoy, not stress over). No matter how simple or difficult, why are undertaking this task? What is your goal? Keeping your focus on this reasoning will keep your marketing plan streamlined and laser focused. Here are some really, really simple goals for 2019. Some may be more complex and other ideas may be for the practice just starting to understand marketing. Update Your Copyright - nothing worse to me than having an outdated copyright at the bottom of your website in the footer. An outdated copyright date warns that your practice/organization may be outdated too. At the very least, you aren't interested in keeping an updated website. Publish New Content - publish one new article to freshen up the content of the site. Remember that only refreshed sites get higher SEO rankings. New Photos - consider new headshots of the docs and employees. New office photos? New photos can improve your brand and reader engagement. Newsletter - Consider starting an electronic newsletter. If you are already writing content, your new content can automatically be distributed to your email list in the form of a an electronic newsletter. Market Internally - you should properly (patient's need to "opt-in") collect email addresses from everyone of your patients. Your electronic newsletter can automatically be distributed to the entire email list to share news of the practice and your great articles. Update/Claim Review Sites - Facebook, Google Business, Healthgrades, Yelp, WebMD.com and many others already have your business listed on their database. These are places where potential patients can find you. What's more is that these are also places where a patient can leave a review. (BTW - this is also a great way to improve your local SEO.) Don't forget to add your new pics of the docs! Ask for Reviews - only do this if you are comfortable with the idea of asking your patients to give you a review. We recommend selecting only one or two places where a patient can write a review. Social Media - start a social media platform. Choose a platform (Facebook, Instagram, Twitter) that your patients commonly use. Most likely it's Facebook. Start only if you are able to keep the content fresh and relevant. About You - remember that your About page is the second most important page on the website. Rewrite your About page in the point of view of the first person and talk a little bit about who you are as a person. Share some transparency - it's much more relevant and meaningful to your patients than a list of your academic achievements and research prowess. A. 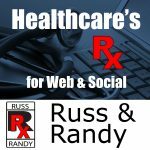 Follow us on "RussandRandy" on iTunes (our podcast on medical and healthcare Internet marketing) featured on Libsyn, Stitcher, iTunes, ReachMD.com and others. B. Visit RussandRandy.com - the website associated with the podcast. C. Be on the lookout for upcoming webinars (New!!!). Advertising or Marketing in Healthcare? September 15, 2016 by Randall Wong, M.D. 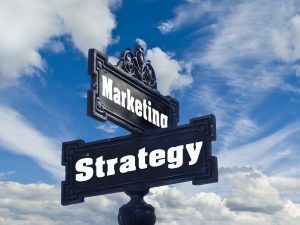 Do you know the difference between marketing and advertising? Most in healthcare do not. It took me a long time to truly understand the difference. Most doctors believe marketing and advertising are the same. Marketing and advertising are NOT synonyms. Marketing involves research. Marketing requires you understand the needs, wants or problems of your customer. In the healthcare world, this means we take the time to understand what our patients need…and then provide a solution. Advertising on the other hand is simply random efforts to draw attention to a product or service. Examples are magazine ads, billboards, radio commercials, etc. It’s spam to most of us. Patients unknowingly expect us to market. They want to find out about their health problems on the Internet. They want to learn from a respected and credible source. Respected and credible sources are called “authorities.” Website you yourself trust, on any subject, are authoritative (at least in your mind). We, healthcare providers, have an opportunity to satisfy this need. We can provide answers to health related questions on our blogs, websites, social media platforms, etc. By satisfying their need, we bring value to our readers…who may later become our next patient! Patients also want to find out information about their next doctor. We can provide this, too. As natural authorities we become instantly credible. This provides tremendous value to your reader (i.e. patient) and separates us from the “layman” posing as an authority. Personal Transparency | Who are You? If you choose, and I hope that you do, exhibit some degree of personal transparency for your patients. You may choose to include this on your website or social media platform on your “About” page or profile. Personal transparency means including some elements of you as a person. What do you like to do? Sports? Hobbies, etc. You don’t have to give away any elements of your identity, but just give your reader who you are as a person. It will resonate with them and put you far ahead of your competition. I love Dunkin’ Donuts coffee, but detest Starbucks. I play competitive tennis and do not like golf. Youth ice hockey is the best sport ever, as Labradors are the best dogs. Resonates a lot more than telling you about fancy residencies and fellowships, right? Russ Faust, M.D and I just launched a podcast on Healthcare and Medical Internet Marketing. I’d love if you tried us out and gave us a review on iTunes. Thanks for reading, following…and listening. If you have a comment, question or concern….just leave below and I’ll get back to you as soon as I can! December 12, 2013 by Randall Wong, M.D. 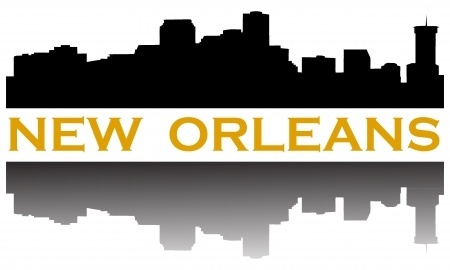 We just returned from the American Academy of Ophthalmology 2013 in New Orleans, LA. I had the privilege of participating in the Young Ophthalmologists program where a variety of professionals speak about various aspects of a young doctors’ career. My message to the young ophthalmologists was understand the merits of marketing, to engage patients digitally and to exhibit transparency. The reason? 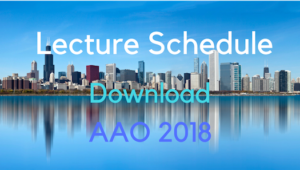 As AAO president Paul Sternberg, M.D. stressed….because we (ophthalmologists) must continue to adapt and understand the needs of our patients. Physicians must need to understand basic marketing. Marketing is not advertising. Marketing studies the needs and wants of your clients (patients) and provides a solution. More than 75% of Americans first venture to the web when looking for health information and looking for a doc. Google ranks websites based upon the quality of the content of a website. Patients are looking for credible health related content and doctors get rewarded by getting their websites ranked. Now the website becomes a powerful marketing tool to attract new patients! Just as many offices offer convenience by having Saturday or evening hours, we must learn to understand the needs of our patients. Patients expect to find fresh and relevant information on the web about their doctors. 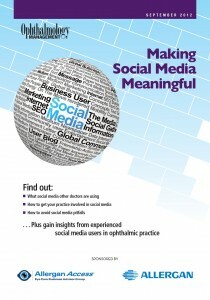 There are different ways and levels to digitally engage patients. At the very least, everyone should have a website. If no website, your office basically doesn’t exist, even if the office location is across the street. Doctors may choose to add content on their website. “Content” would come in the form of articles which talk about health related issues. Credible articles on health issues brings value to the website and the doctor. With value, comes trust. The most engaging types of websites are interactive blogs. This is the most compelling type of website, has the best marketing potential and engages patients. This public display of a “conversation” is the purest form of social media. I often speak about the quest to find doctors who are people. This may indeed be the modern “bedside” manner. Through a well constructed web presence, a patient should be able to determine some basic elements about their doctors. Memberships to elite organizations, diplomas from fancy schools, membership plaques, etc. usually adorn our office walls. Unfortunately, these have little relevance to our patients. Instead, young doctors must consider distinguishing themselves as who they are vs. what they are. In my office and on my website, I often refer to my personal hobbies, interests and activities. These personal attributes are much more relevant to any non-medical person. Not to sure about sharing personal attributes? Then consider sharing some of your practice philosophies. A medical practice is a small business. Every small business, except for medical practices, operates transparently. Review sites such as Yelp and Angie’s list are popular due to the relevance to the consumer. Friendliness of staff, cleanliness of the office, ease of appointments, time spent with the doctor, etc. are all important factors when patients chose a doctor. Every other business runs transparently. Review sites for doctors are going to increase, not disappear. May 1, 2013 by Randall Wong, M.D. You’ve made the decision to become a concierge medical doctor. Because you are now much more selective about your patient base (i.e. those who subscribe to you), you’ll need to get the word out about your new practice. The challenge, as identified by Alan Horowitz at “The Profitable Practice”, is to sign up enough patients to sustain this new model. Depending upon the size of the practice and your rate of conversion, the number of patients you must attract will vary. The more patients who can find you, the faster the transition. With concierge medicine, you’ll need to provide value over and above the usual diagnosis, education and treatment of disease. Treating disease is now expected. What you do in addition to playing doctor is your value. What do you do to provide value to your patients to merit the added expense of the concierge annual membership? Do you have flexible office hours, more timely appointments, availability of doctors, have more specialists? How about faster and guaranteed call back times, etc.? 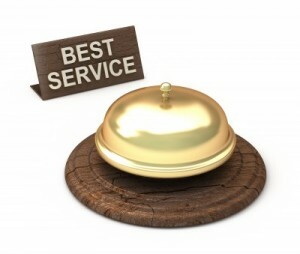 Are you networked with other concierge practices locally? nationally? Part of marketing is understanding your patients’ needs. Fulfill their needs and you’ll be providing value. Branding is simply your reputation. Your practice has a reputation for something. Is it quality care, service with a smile, clean and comfortable waiting rooms, computerized medical records, the best staff? However you distinguish yourself from your competition is your brand, or your reputation. More than ever, your new patients will require you exhibit some personal transparency. While not exactly your bedside manner, personal transparency does involve revealing a bit of your personality. Patients are looking for people who are doctors. Are you willing to share who you are as a person? Transparency can also mean your approach to medicine and your new practice…and you should be willing to discuss. 1. External Marketing: You must have a website. Critical to the success of your marketing plans is the presence of an up-to-date, relevant website. It should contain enough information so that a prospective patient can find your answers the the 3 questions above. If you don’t have a website, you don’t exist. The About Us page should answer the questions about the goal of the practice and how you are different than other similar practices. The “About Me” page should be more personal, listing a few of your achievements, but also likes, dislikes and hobbies. Your website will serve as both a reference and powerful marketing tool once it starts to rank with Google, Bing and Yahoo. 2. Internal Marketing: Take advantage of patients already familiar with you. Email and/or hard-paper newsletters are great way to internally market your new changes. Communicate to your existing patients how your practice will be changing. Keep them up to date, they may not sign on immediately, may never, but may likely tell someone else! 3. Maintain Communication – This should be a gradual but continual process. Implementing your new communication and marketing strategy won’t happen over night. Your goal should be to slowly transition your practice from traditional to concierge. Keep your website fresh with new information about the practice so that a prospective patient doesn’t really need to interview…they just have to read. Offer the chance to subscribe to your website and newsletter with a subscription box. This “opt-in” keeps them interested in your practice news. Make your newsletters relevant and consistent. Keep your existing patients and email subscribers current with news and events of the office. You’ll maintain the website for those searching for you on Google and you’ll maintain the newsletter for those who already know you. February 10, 2013 by Randall Wong, M.D. 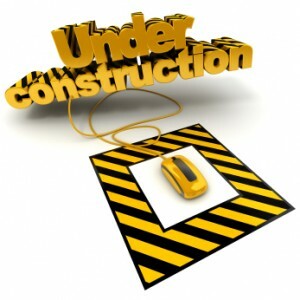 Every great website should always be “under construction.” Of the three types of sites; resource, marketing and interactive, only the resource site is ever really finished. And you know I’m not talking about web design. Great websites must remain dynamic whether by adding a constant stream of great content or with user generated comment vis-a-vis threads and conversations. Blogging, or content marketing, remains the most important marketing strategy for your medical practice or small business. While many businesses promote their use of a social media marketing strategy, blogging remains #1 in terms of ROI, branding and value. The success of content marketing can be easily measured. Visitors, bounce rate, comments, click through rates are all metrics showing the likes and needs of your patients, your customers. Your content provides your patients with value. Your articles provide solutions (answers) to their health specific questions. Moreover, your consistent writing also displays a level of dedication and commitment that sets you apart from your competitors. Value is the key to any website, but by continued and consistant writing, your dedication and commitment turns you into an industry expert. Your content also remains the key factor to obtaining great SEO…unmatched and immesurable with any social media campaign. Develop a long range objectives for your practice, i.e. define your marketing goals. Write articles consistently on topics related to your long range initiative (SEO best practice). With time, your articles will begin to reach out to your patients, compelling them to write and leave comments. Make sure to answer each of the comments in a timely manner, thus creating a dialogue. This visible interaction and engagement is the heart and soul of a blog and will eclipse any social media based campaign with respect to ROI, branding and providing value to your patients. Both content marketing and engaging your patients online present time challenges and require consistent and continued publications and responses. To Your Growth And Success!